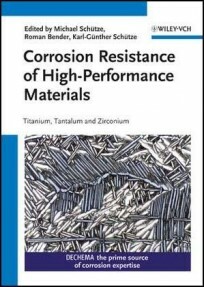 Corrosion resistance is the property of a material to resist corrosion attack in a particular aggressive environment. Although titanium, tantalum and zirconium are not noble metals, they are the best choice whenever high corrosion resistance is required. 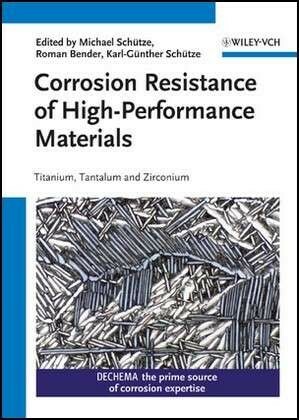 The exceptionally good corrosion resistance of these high-performance metals and their alloys results from the formation of a very stable, dense, highly adherent, and self-healing protective oxide film on the metal surface. This naturally occurring oxide layer prevents chemical attack of the underlying metal surface. This behavior also means, however, that high corrosion resistance can be expected only under neutral or oxidizing conditions. Under reducing conditions, a lower resistance must be reckoned with. Only very few inorganic and organic substances are able to attack titanium, tantalum or zirconium at ambient temperature. As the extraordinary corrosion resistance is coupled with an excellent formability and weldability these materials are very valuable for a large number of applications, such as heat exchangers, reaction vessels, funace construction, radiation shielding, implants for medical technology, and capacitor components in electronics.